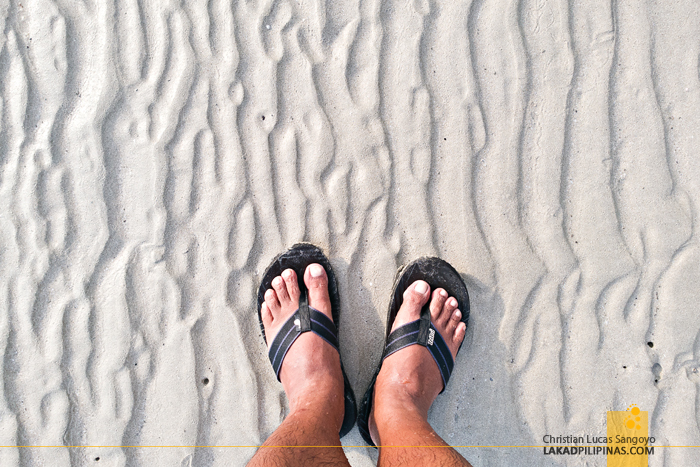 Nature patterns, I whispered to myself as my rubber sandals padded on the soft white sand of Koh Chang’s Klong Prao Beach. The tide was at its lowest, revealing peculiar wavy patterns made by the waters as it receded back towards the horizon. We walked some more, enjoying the late afternoon’s relative lack of tourists while waiting for the sun to dip down and shower us with golden rays. 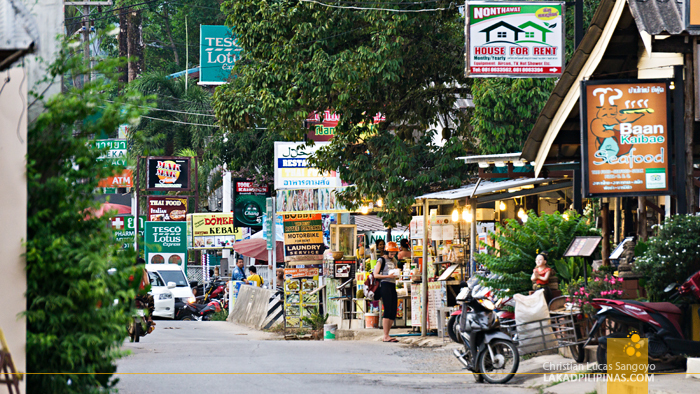 The village of Klong Prao was our second destination on the island. 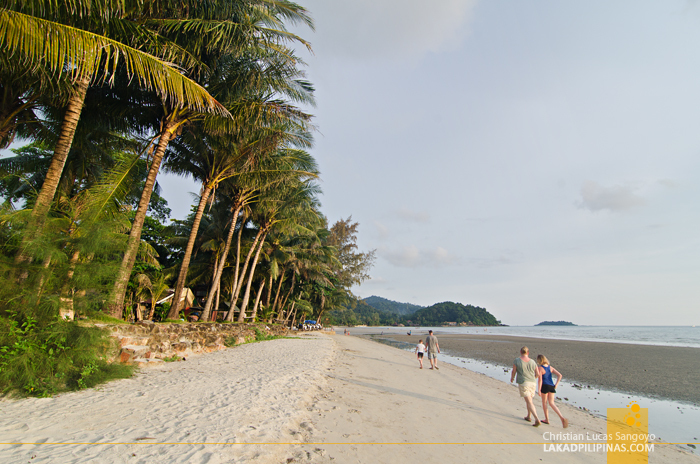 From the secluded amber sands of Serenity Koh Chang, we took a shared, open-aired songthaew taxi to one of the island’s more famous spots. The ride took about an hour of twisting roadways, Koh Chang isn’t named as Thailand’s third largest island for nothing, before we alighted on a slightly more populated part of the island. It’s still pretty quiet, but we can now see convenience stores and street hawkers lining the sidewalks. 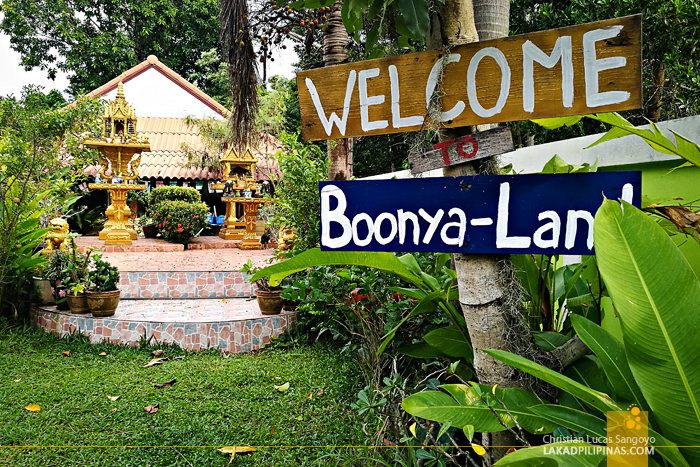 We planned on staying here for three nights and our lodging of choice was at Boonya Resort Koh Chang. 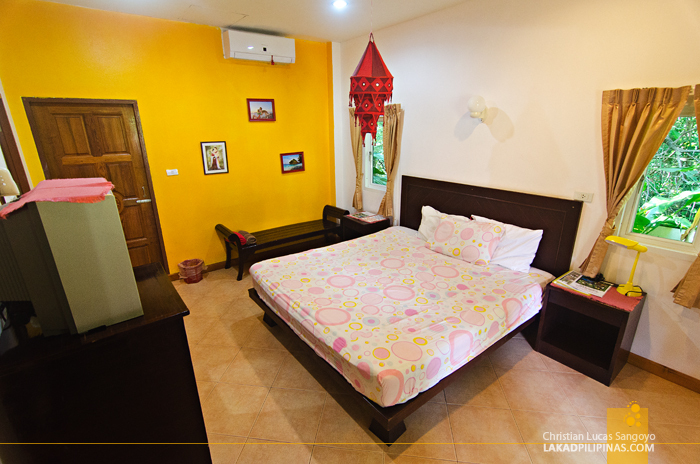 The resort is located on a recessed parcel of land about fifty meters away from the main road. It is within easy reach of the food places and grocery stores in the area, but is far enough from the street for a bit of peace and quiet. A couple of their adopted pet dogs greeted us upon arrival, seemingly ushering us to the open hut set with driftwood furniture right in the middle of the property. Apparently, it’s where the lounge, dinner area, and reception desk were located. 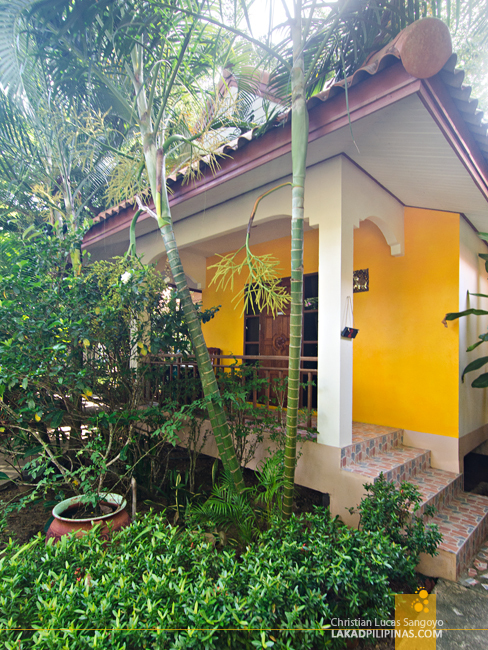 Christine, the resort’s Italian proprietress warmly welcomed us and led us to our bungalow. Boonya is a family run business with Christine at the helm. 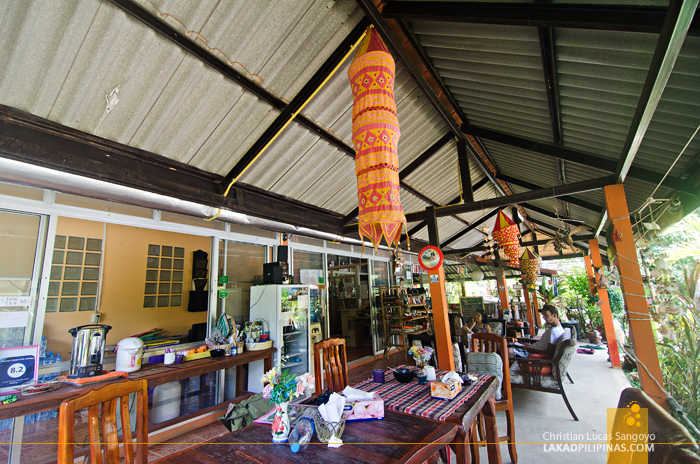 The lady has quite a character, and it reflects on the resort’s hippie-ish feel—from the hand-painted signboards leading guests inside the grounds, the colorful Nepalese prayer flags flapping across the garden, to all sorts of quirky knick knacks lying around the common hall. If we haven’t met her, we would’ve thought the place to be quite kitschy, but after our meeting, we were certain that that’s how exactly she wanted it to be. 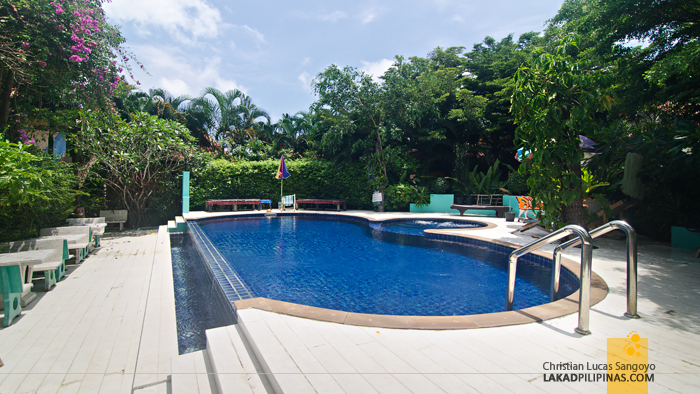 We were billeted on one of the ten bungalows of the resort and it was right by the swimming pool [CHECK DISCOUNTED RATES & AVAILABILITY]. 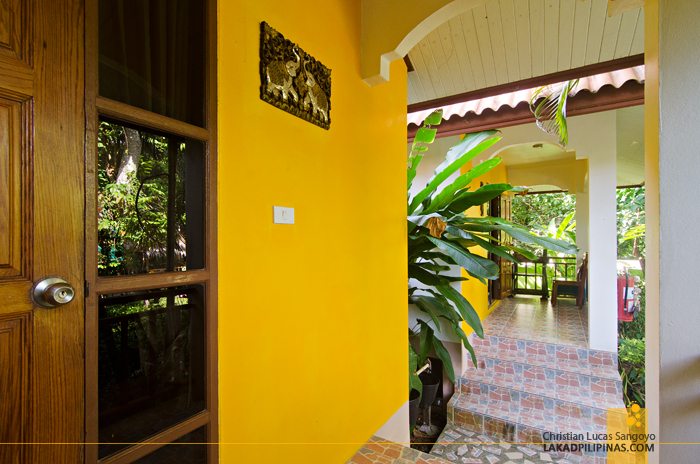 The villa is elevated and is accessed through an open front porch. Inside, the room—with an old-school cable television—reflects the rest of Boonya. It actually looks like an actual person’s room; no fancy hotel trimmings and decors, it really felt like home. I love balconies, and I was very delighted that our room has not one, but two! 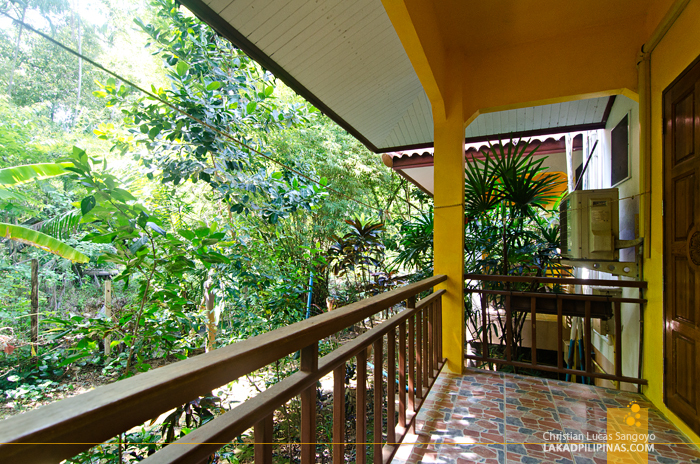 Besides the front porch, our bungalow has another at the back which looks over a small stream overgrown with lush vegetation. 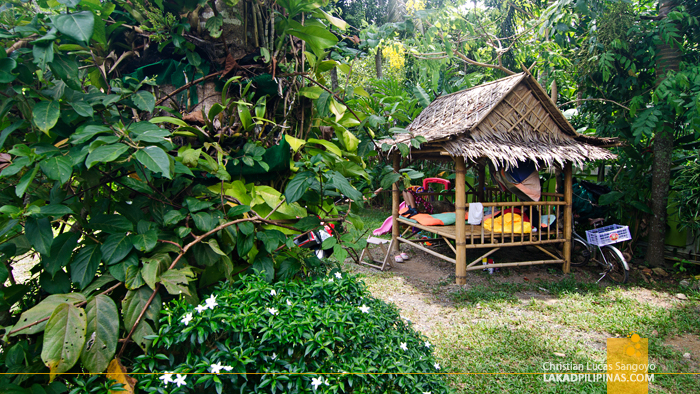 Right after settling in, we headed over to the beach, excited to see what this side of Koh Chang has to offer. 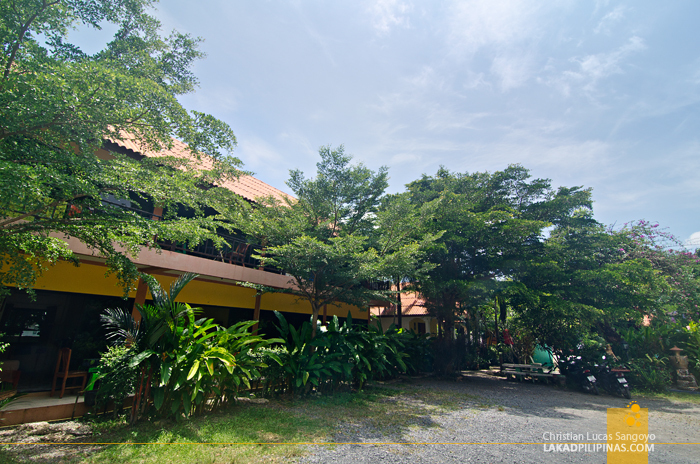 Being located by the road, it took us about ten minutes to reach Klong Prao Beach by foot through a scenic and very serene riverside path. Eventually the road turned into a dirt trail overgrown with grass and pine tress. 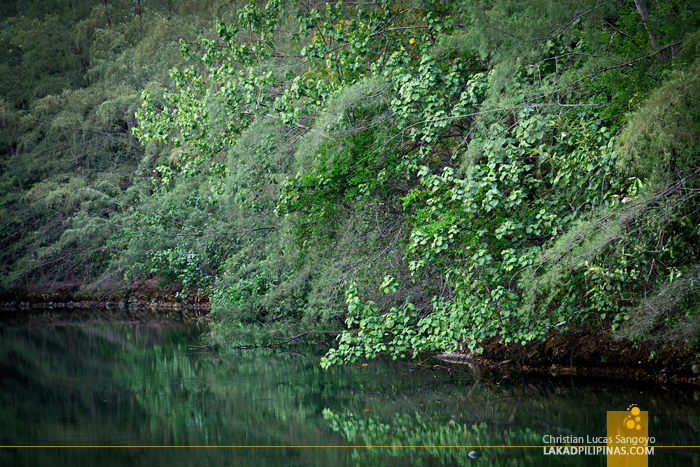 And finally, the greens opened into white and blues—the sea, at last. This became our pattern during our days at Boonya Resort. Late morning breakfast at the open hall while chit-chatting with Christine and a few of the guests, then we head for the beaches of Koh Chang. 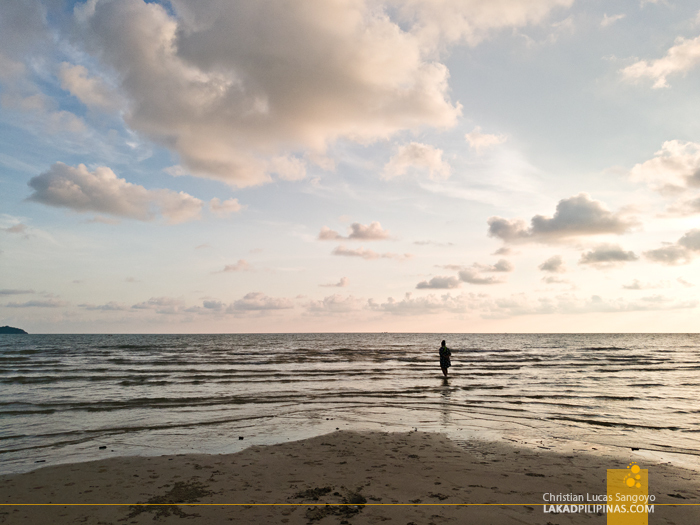 The island has a several beaches on its western side, which is where we were, and we visited four of them; Klong Prao Beach (the nearest one), Chai Chet, Kai Bae, and an unnamed private one we discovered by accident just before Kai Bae Beach. 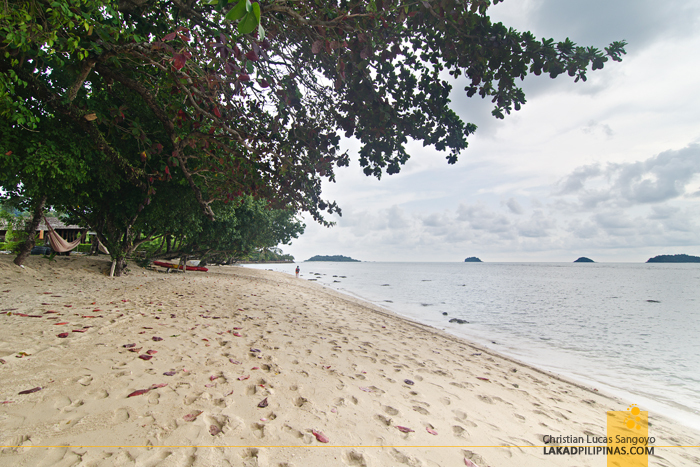 One beach per day is more than enough for us. 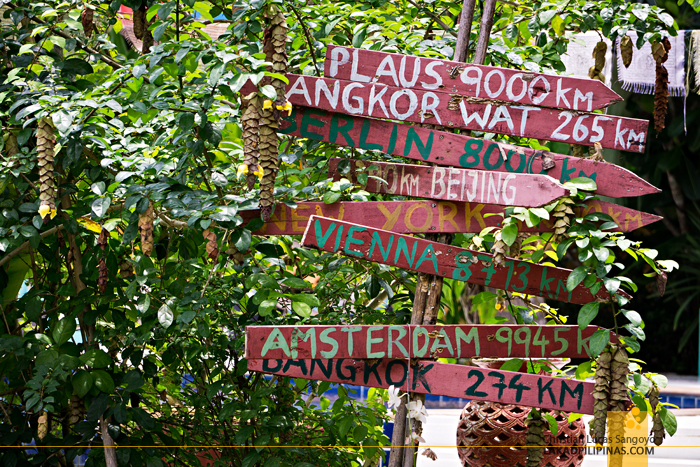 We weren’t able to visit, Koh Chang’s famous Lonely Beach where the island’s wild parties are, but after the incessant partying we did at Siem Reap’s Pub Street, we finally wanted a bit of peace and quiet. And indeed, Boonya was just perfect for what we needed then. ~ BOONYA RESORT KOH CHANG HOSTED A PART OF OUR STAY IN KOH CHANG ISLAND. VIEWS & OPINIONS, ALL MINE.